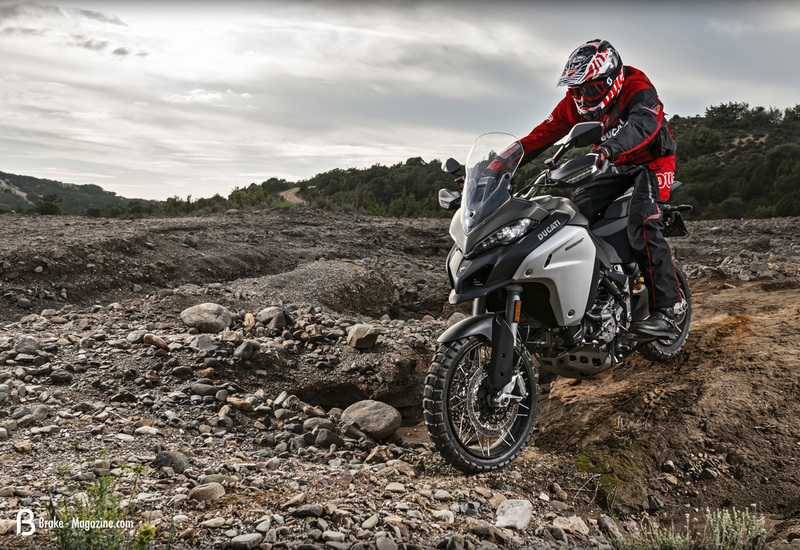 Triumph's 2016 Explorer has some neat upgrades on the previous model. 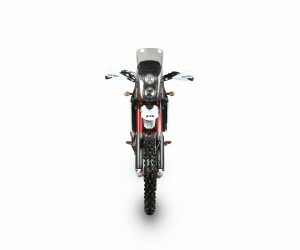 Benelli's TRK 502 - The only photo in existence. The AJP PR7 is very unique. The hinge can be removed by paramedics. 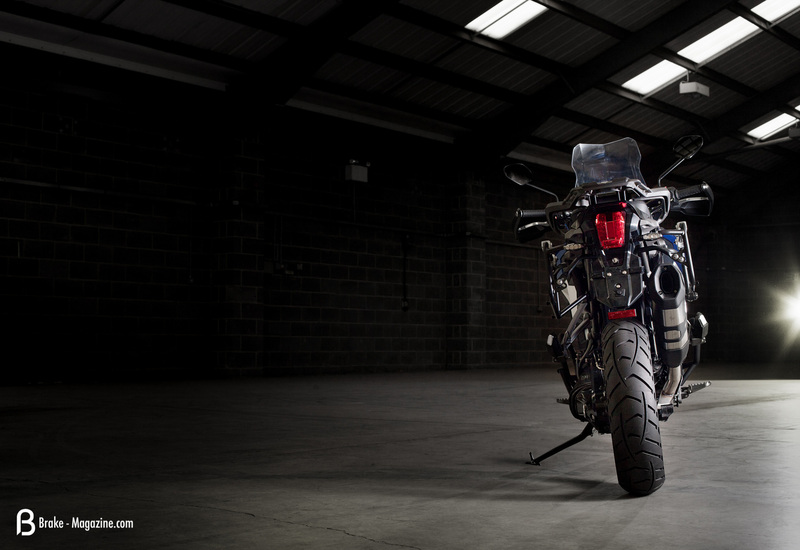 The inventive rear entry system. 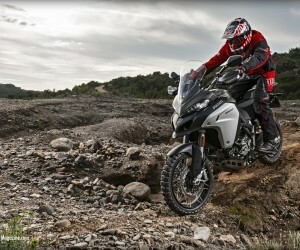 We're hoping the new Xcx is an improvement on the dirt. 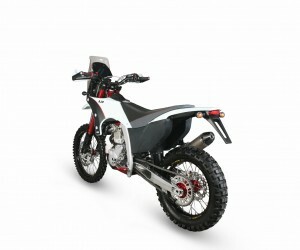 It's even built in the same factory in Italy. 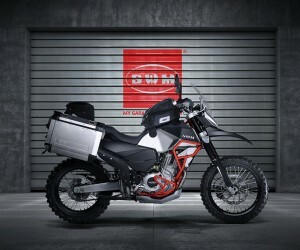 The SWM Superdual in all it's glory. 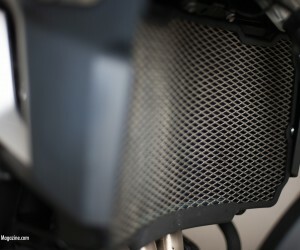 The G 310 is likely to come in a GS version very soon. 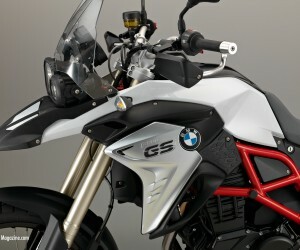 How soon will BMW's designers be building the 310 GS? 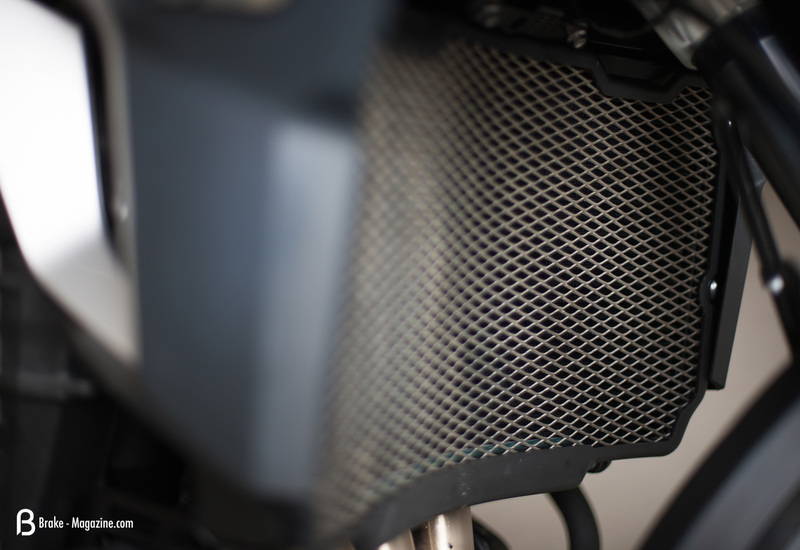 To view the gallery click the middle of the image above. 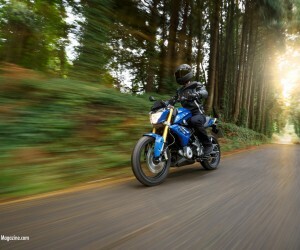 You can move through images by clicking the arrows, using keyboard arrows or swiping on a mobile device. 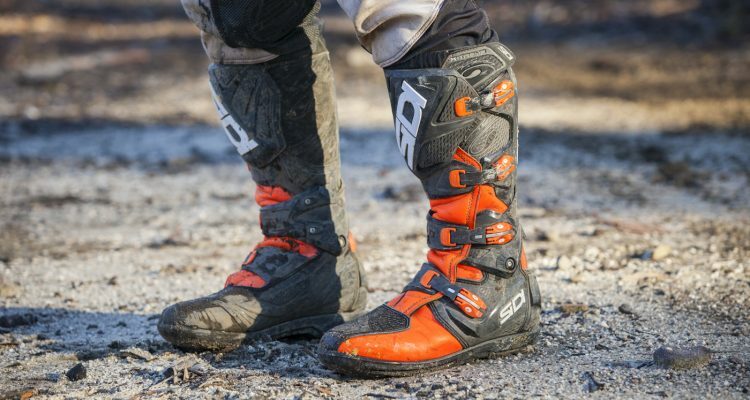 The latter part of every year brings us show season, a face-off of pure marketing brawn. 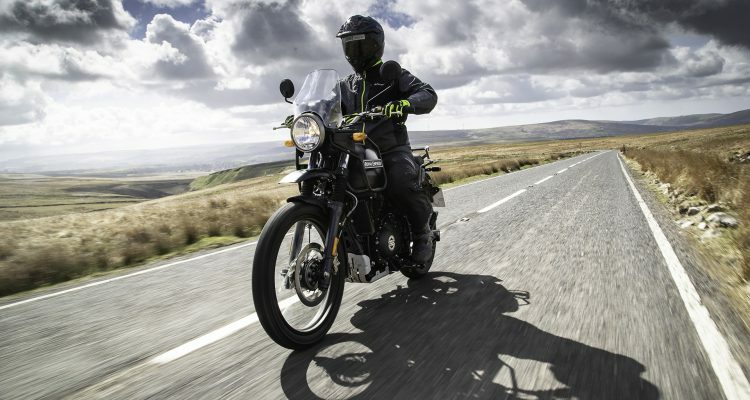 Every manufacturer showcases their new products at bike shows across the world, from the legendary Italian show EICMA, to Long Beach, Sydney and Birmingham, all within a few weeks. 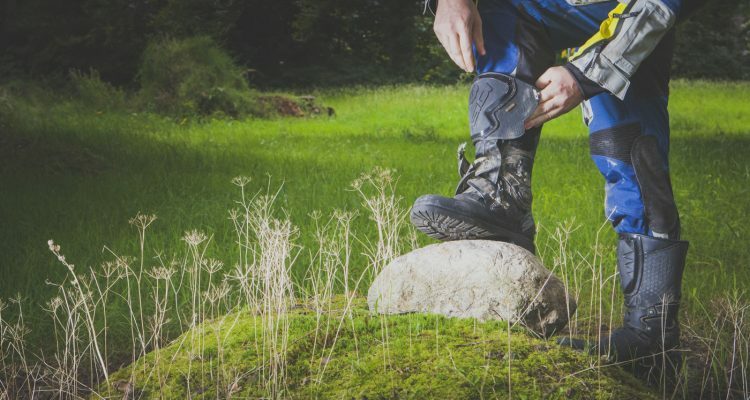 We’ve sifted through the press releases from the big boys, the smaller stuff that press agencies forget to tell people about and anything else we can dig up that is worth reading about. 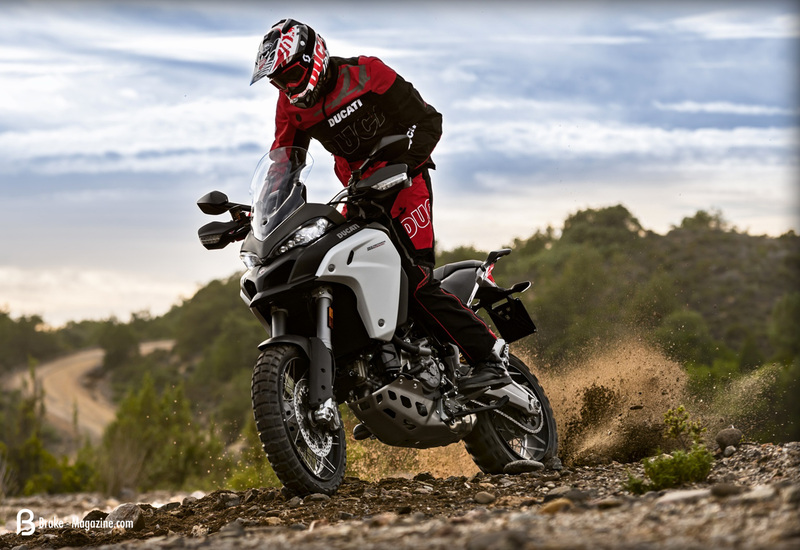 Somehow the Benelli TRK 502 slipped under the radar. 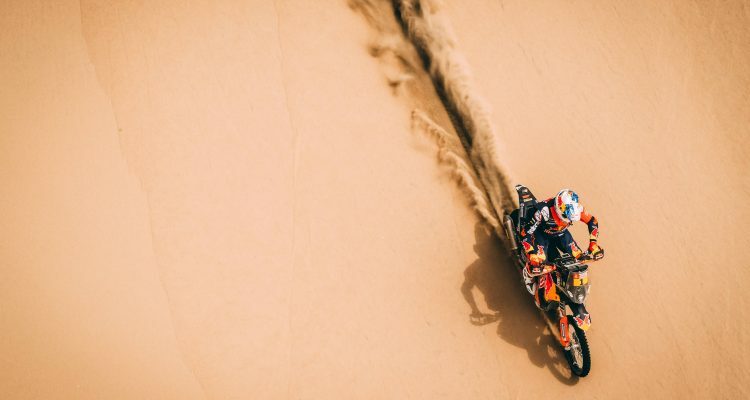 It’s a shame, because this bike has got us excited. 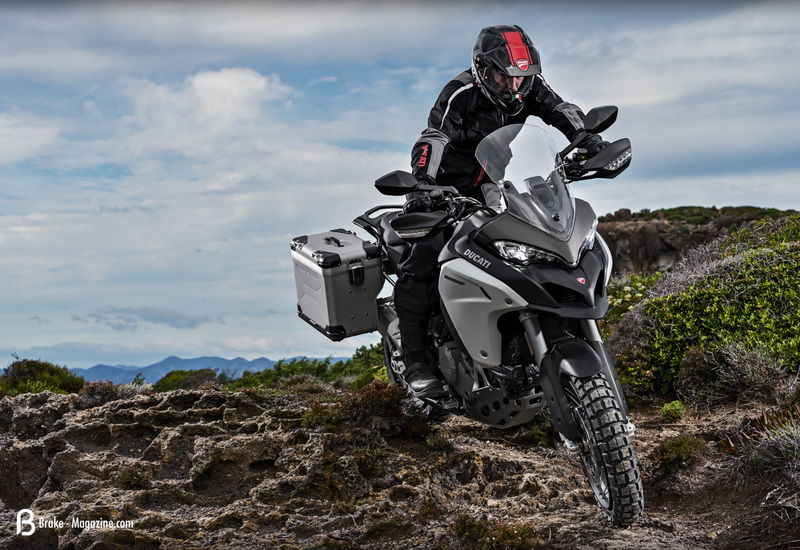 Sporting ‘adventurous’ styling is a one thing, but being a good travel bike is another. 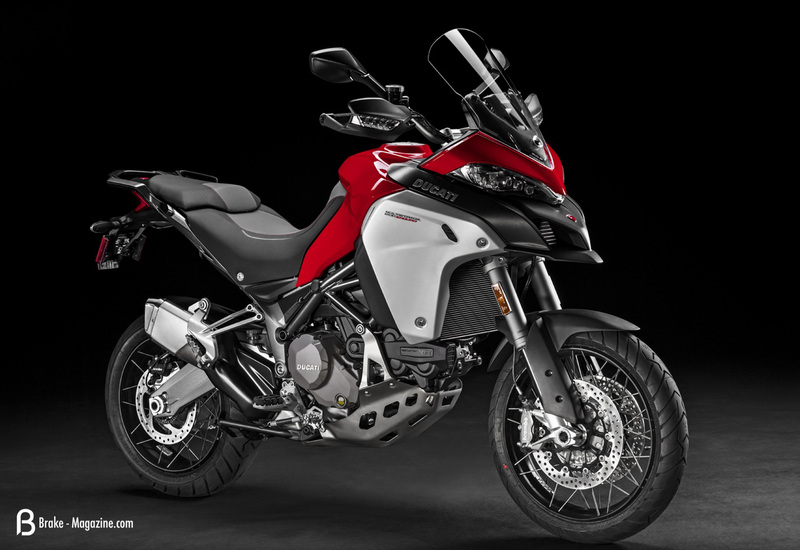 Currently there is very little information on the new bike and if the Italian to English press information is anything to go on Benelli doesn’t actually know what the TRK is yet. 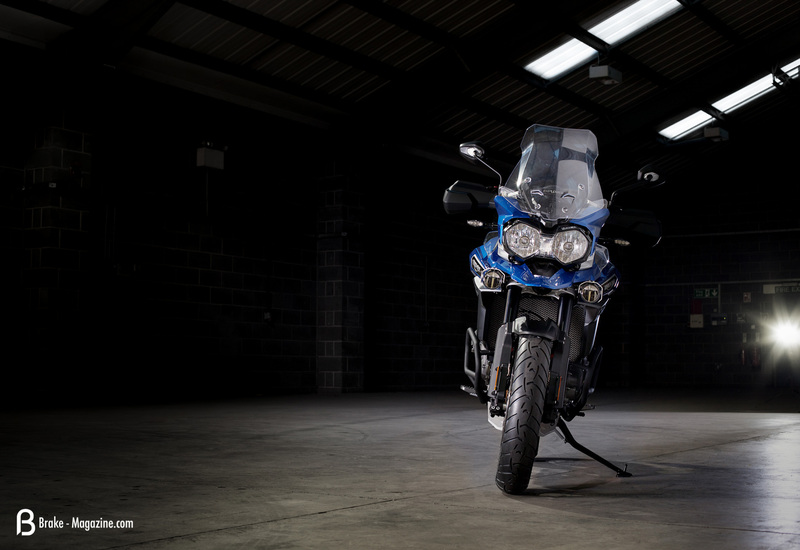 From one line to the next it’s a touring bike but its got ‘adventurous spirit’ and can go any where. 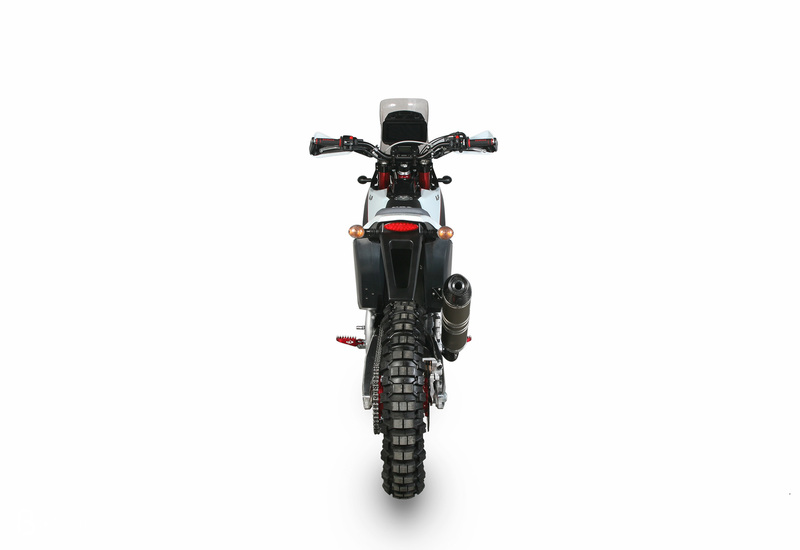 While Benelli need to work on a lot of things, we’re not going to discredit this bike, mostly because we want it to be good. 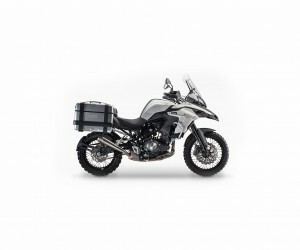 How awesome would it be to add an Italian built, small capacity ADV bike to the pool of machines to choose from? 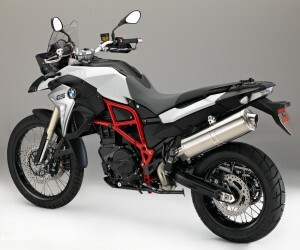 The TRK is a surprisingly good looking bike, with a certain R 1200 GSA styling about it. 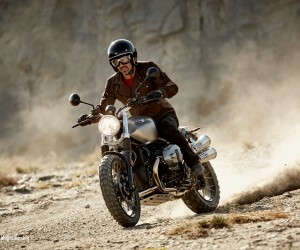 That is no bad thing; it’s rugged, unique, Italian, and certainly going to be rarer than the proverbial faeces of the wooden toy horse. 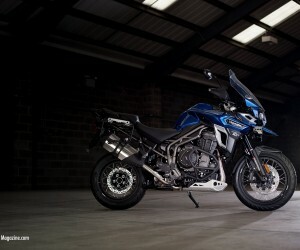 But the very best bit about the Benelli TRK? IT’S 500 DAMN IT. What is that I here you say? 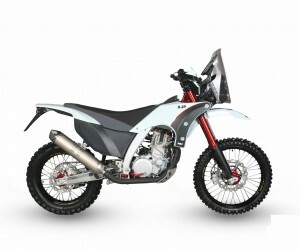 Only 500cc? YES! 500cc. And it’s a twin? My mind has officially imploded. 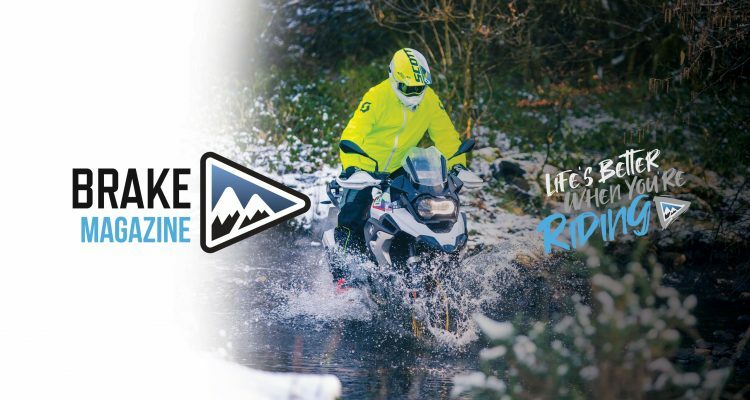 Isn’t this something the ADV community have wanted for years? 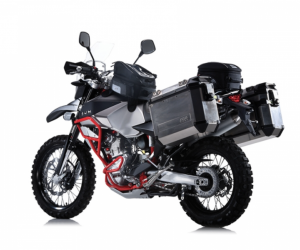 A bike that works on road and isn’t a behemoth off road? 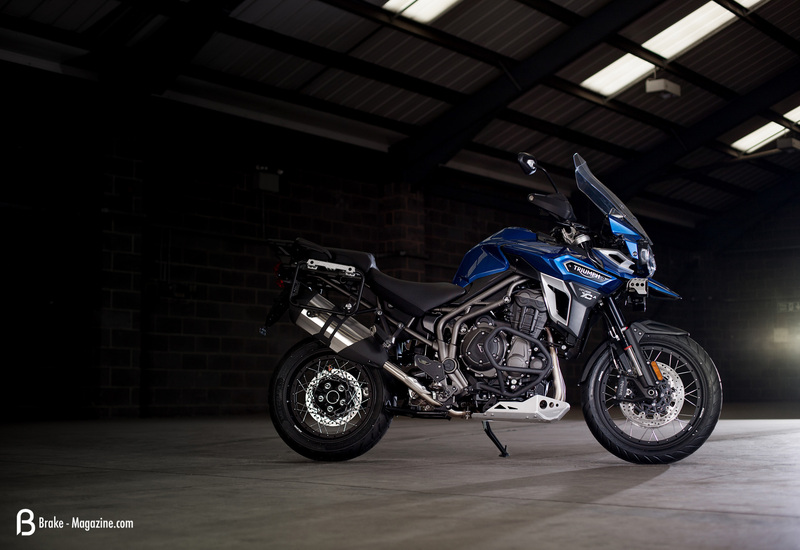 Sadly it is slated to be a touch heavy, but much like the recently reviewed CB 500 X ADV conversion being smaller in stature not weight can still make a bike easy to ride and effective. 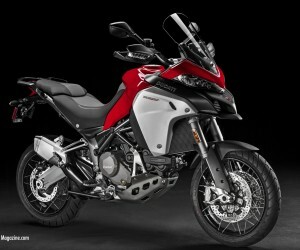 Could it be that the Italian brand have actually gone and created a great travel weapon without knowing it? 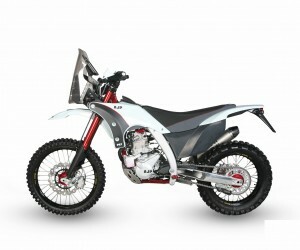 At 35KW (46 HP) and 45NM (33 FT LB) of torque it’ll do just fine. 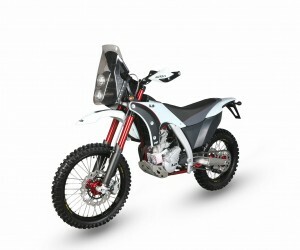 It’s got a decent 20 litres of fuel, an acceptable, low seat height , 150mm of suspension travel and spoked wheels. 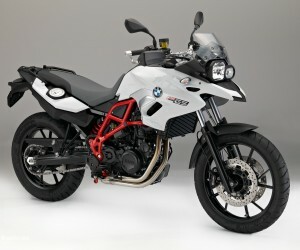 Plus, did we mention it looks like an R 1200 GSA? We’re really hoping they pull this out of the bag. Fingers crossed people. 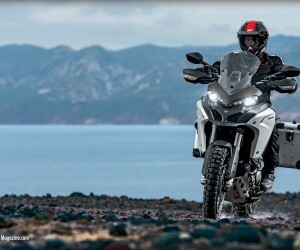 For the full gumpf on the Benelli TRK 502 click here. 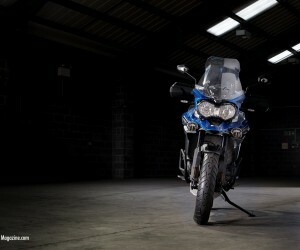 BMW have had a busy few weeks. 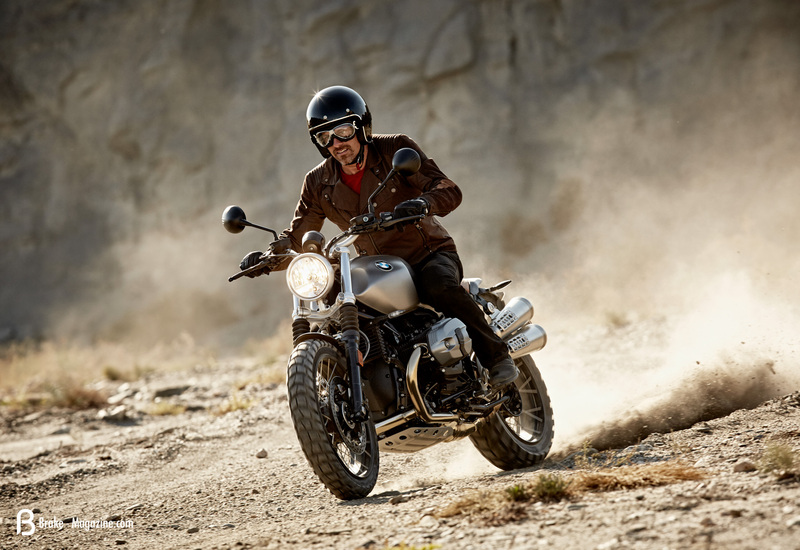 They’ve produced a sweet looking scrambler R9T that appears prime for doing skids in a vintage way, just like we have on the Ducati Scrambler. 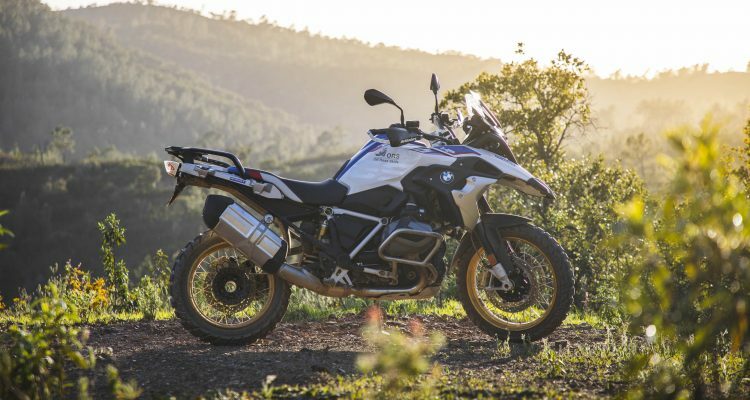 They’ve also face lifted the F 700GS and F800GS which generally means there’ll be a substantial update on those models in the next two years. 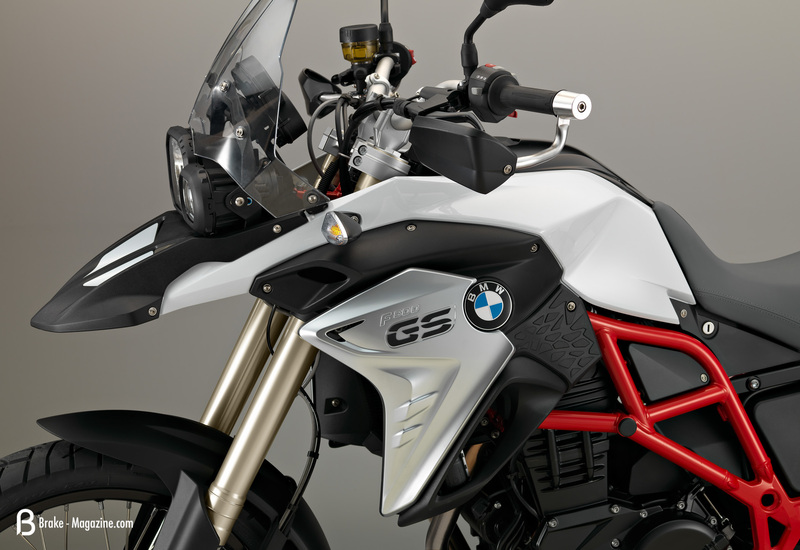 The hidden news out of the bike shows is all around the new G 310 R. While there has been a large amount of talk about the little stunt riding, street fighting thing, built for the Indian’s and the young people, the real news is a BMW 310 GS. Huh? How can you say that I hear you ask? History has taught us one thing. It always repeats. 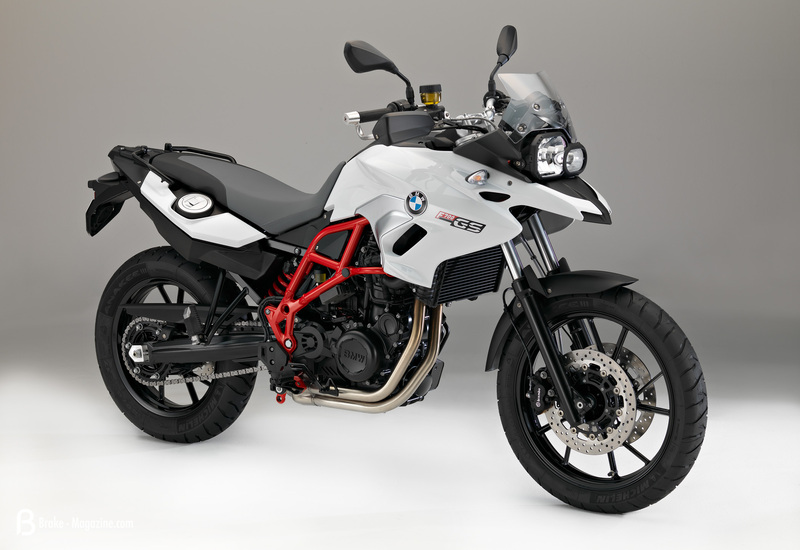 With BMW, when one engine is born is it’s then the tweaked and shoehorned into the other model ranges, bar that crazy 1600 thing. 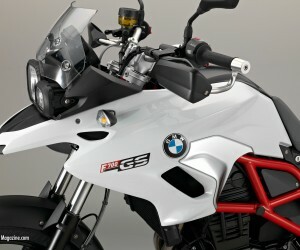 That means there will be a GS version. 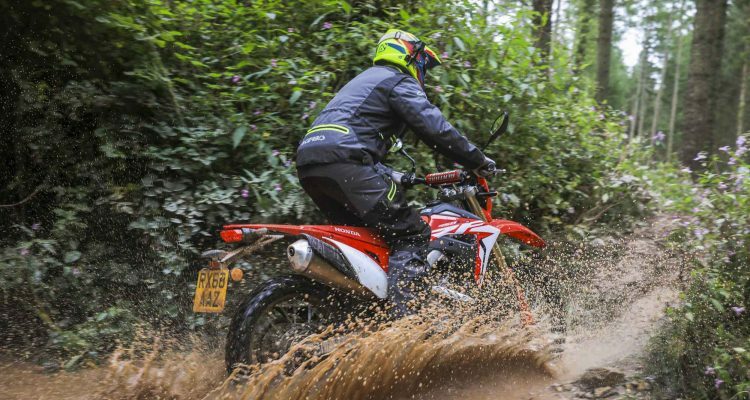 Will it be aimed at serious off road? That’s highly doubtful. 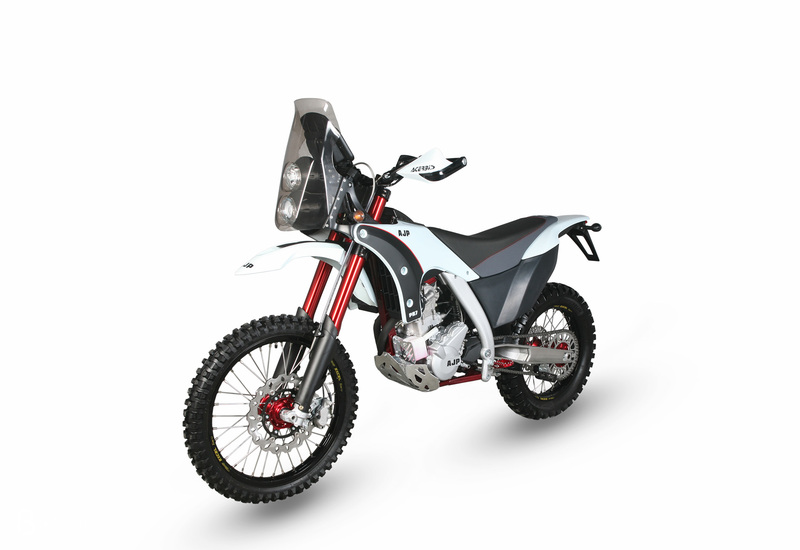 It’ll be cheap, cheerful and aimed at the entry level, but it may have a little hidden potential in there somewhere. 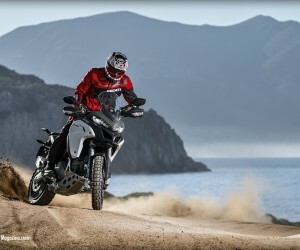 Ducati have done an incredible job of promoting the new Multistrada Enduro. 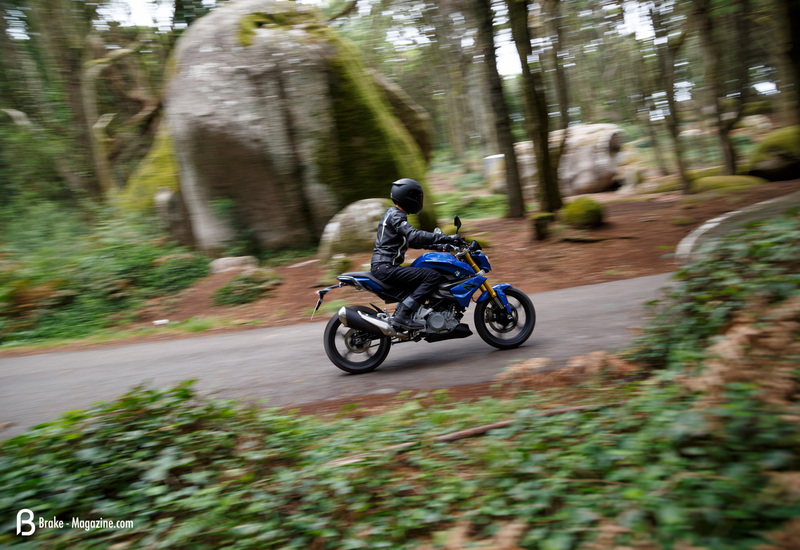 The whole press work behind the bike is top notch and frankly, it couldn’t have made us more excited. 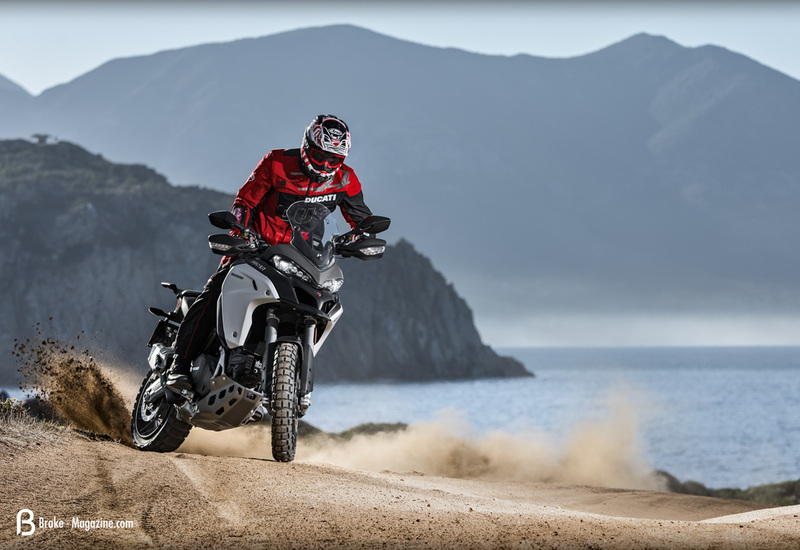 Everything the Multistrada needs to take it from savage adventure sport tourer with low off road capacity to incredible, dirt eating, rabid, KTM and BMW rivalling monster has been addressed. 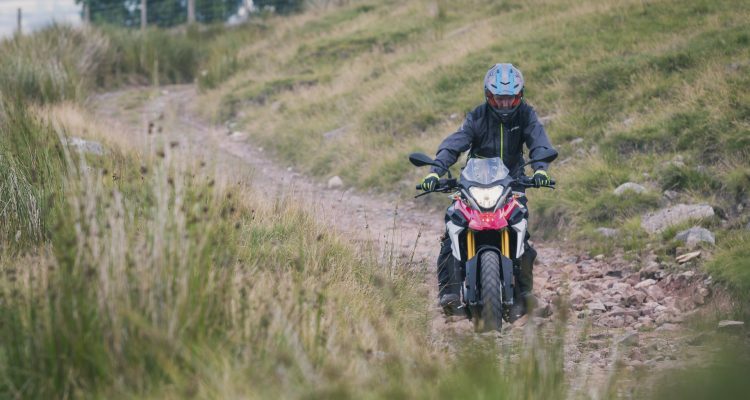 It’s got 200m of electronically controlled suspension that adjusts itself to riding conditions as well as “recognises jumps and automatically adjusts suspension set-up for soft landings”, a double sided swingarm, 30 litres of fuel, a 19-inch front wheel and press information with marketing terms such as ‘Off Road Spirit’ and and ‘Globetrotter Adventures’, what is not to love? Our copy may be facetious but our excitement is genuine. Look at how beautiful it is in the images above. 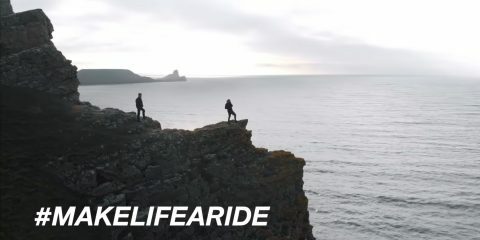 Then watch the videos below. 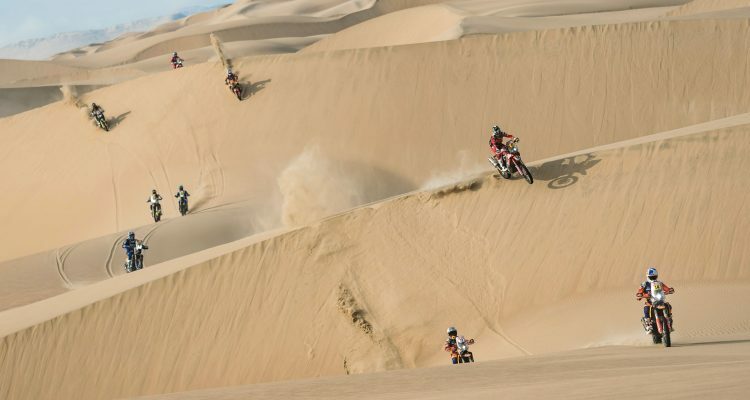 It’ll only get you excited too. 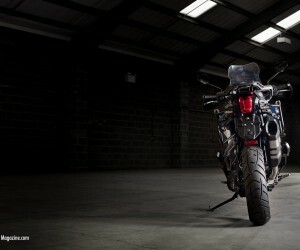 Oh, and you can get a Termigoni exhaust for it too. 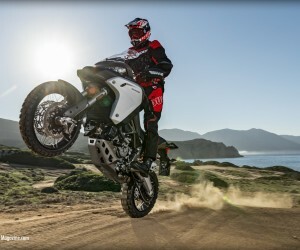 For more on the Ducati Enduro Click Here. So this isn’t strictly show season news but it is absolutely bang on. 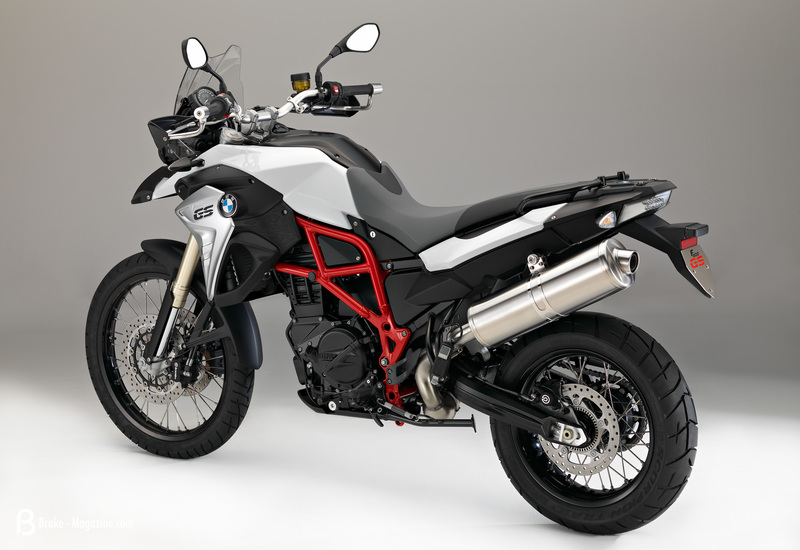 The R 1200 GS has a god awful rear brake pedal for riding off road. I’m sure there was a ridiculous reason for the poor design from a department inside the German juggernaut; probably the same department that decided tiny footpegs are really good. 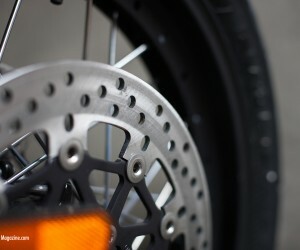 US brand Alt Rider have made a nifty plate, for a decent price, that lets you use the rear brake well on and off road. 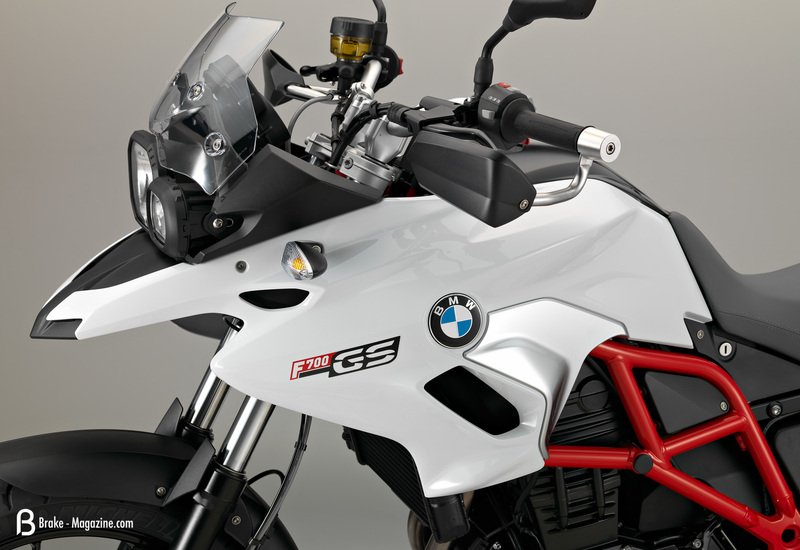 It’s a product that we really like the look of and would make an awesome improvement to any keen GS rider’s bike. 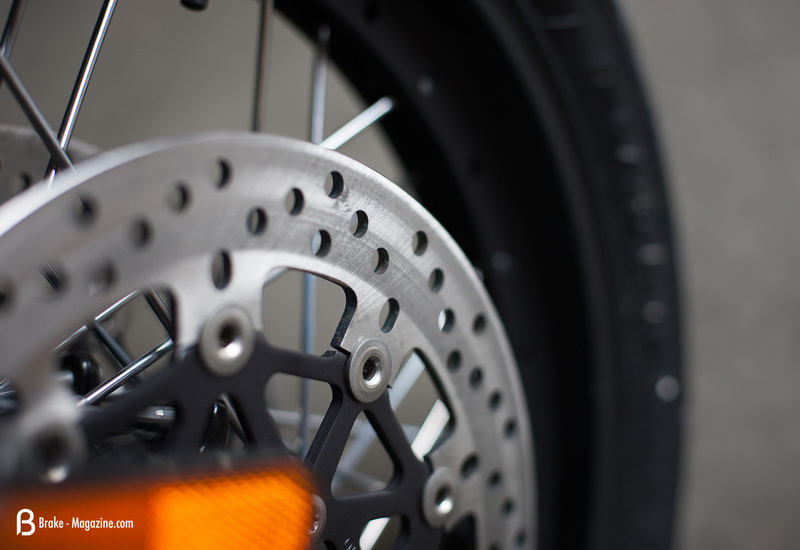 For more on the Dual Control Brake System Click Here. 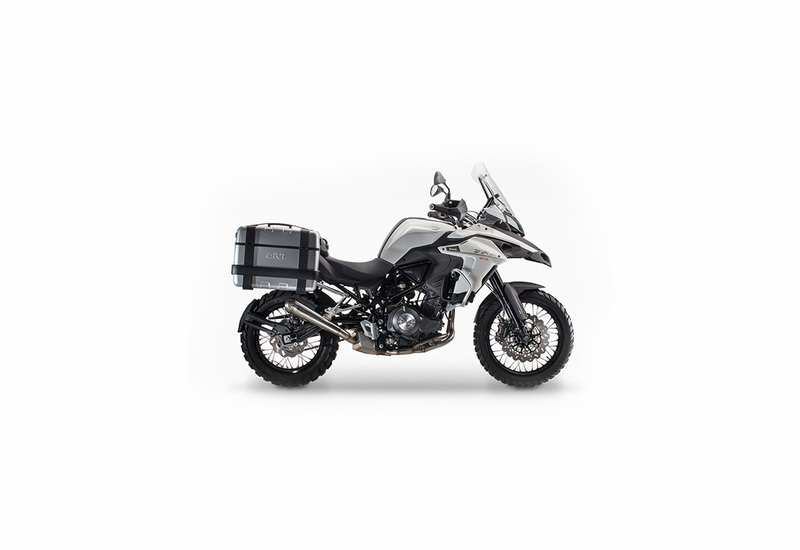 The Tiger Explorer was overdue an update. 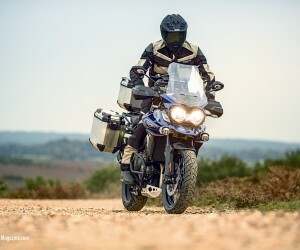 The changes are much along the lines of the 2015 Tiger 800 range with new versions stretching six-fold to include XC, XCx, XCa, XR, XRx and XRt. Got that list? 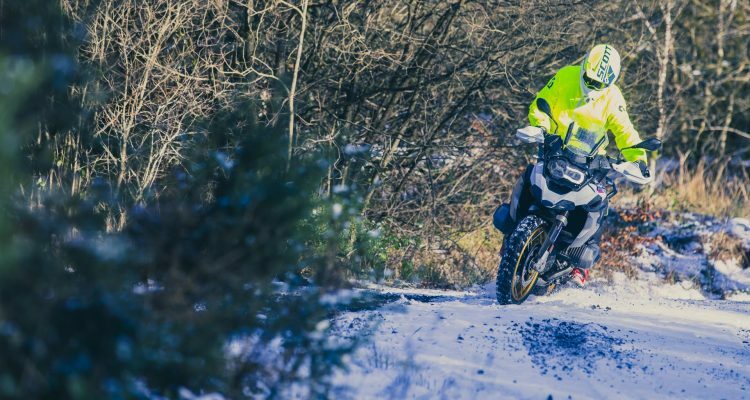 They’re same bike on paper you could argue, but as we discovered when we tested the Tiger XRx and XCx models back-to-back the differences are clearly defined to make the same bike appealing in distinct ways. 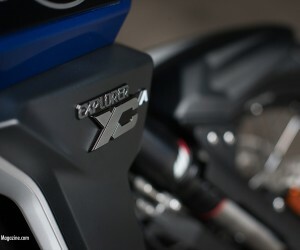 We expect the same from the new Explorer range. 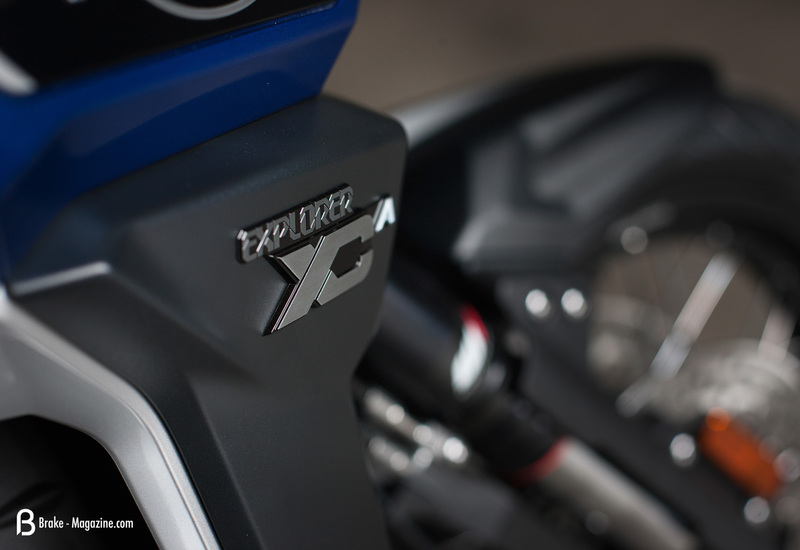 New styling is subtly different on the 2016 Explorer which has a ‘first’ in the shape of an electronically adjustable screen. 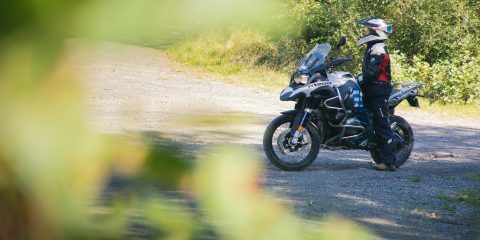 That being the first on an Adventure bike. 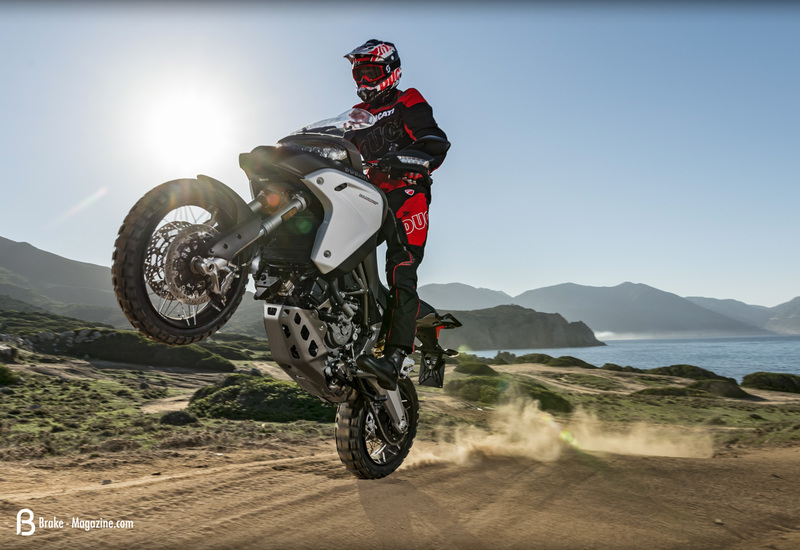 The base XR and XC models get upgrades but the up-specced versions of each now feature tech advancements such as semi-active suspension, cornering ABS, rider modes and traction control. 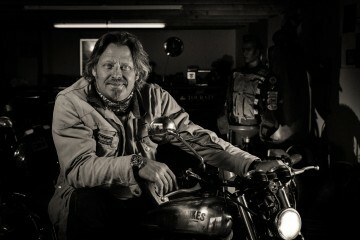 In other news, Triumph have signed up ADV Celebrity Charley Boorman as a brand ambassador. 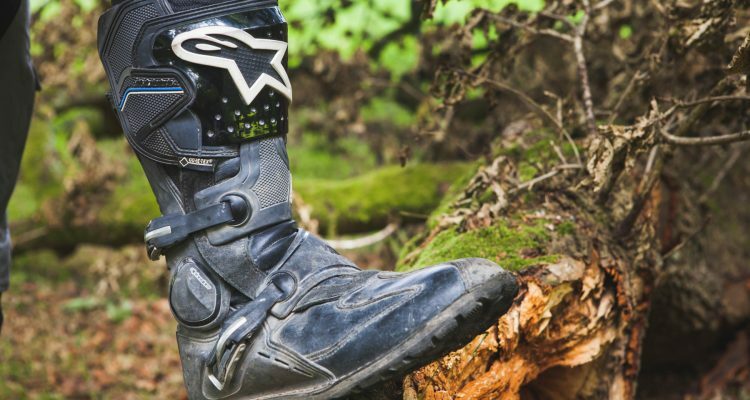 That seems like something that works for all parties at least, especially with the Long Way Round star’s love of custom bikes. 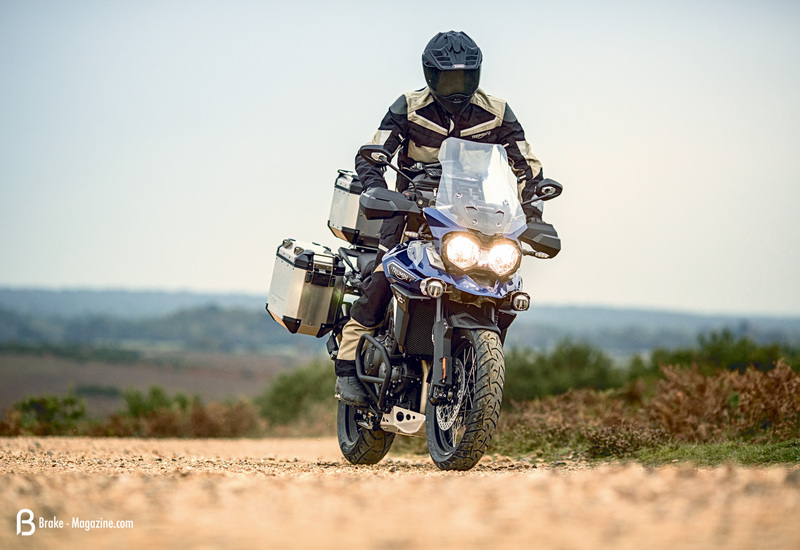 For more on the Tiger Explorer Click Here. 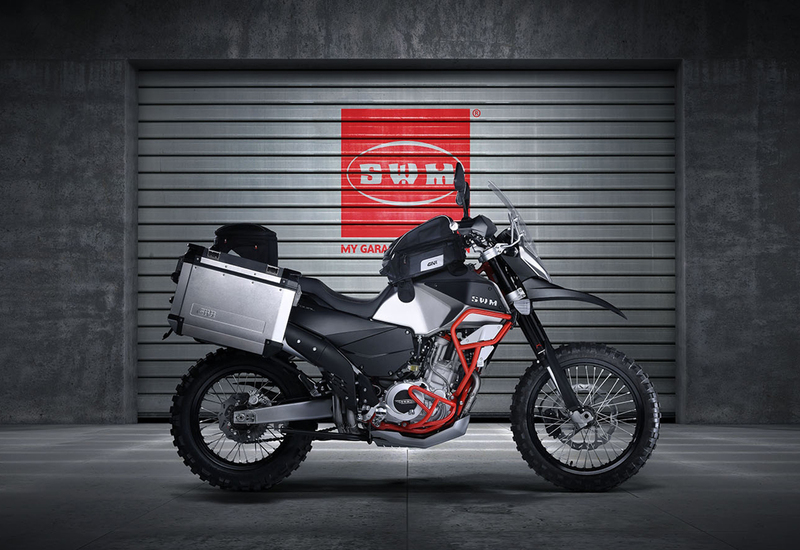 SWM might’ve been a short lived brand but for a company that lasted just 13 years they left a solid mark on the off road motorcycle world. 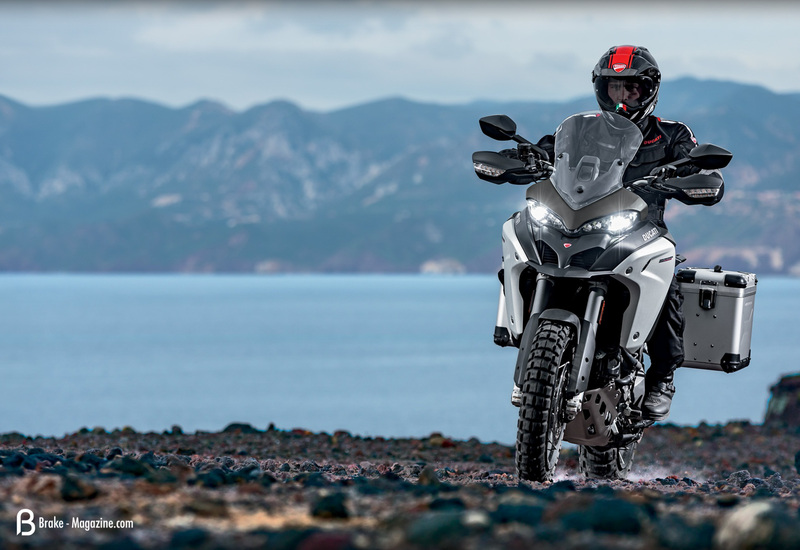 Some 30 years after their liquidation the Italian brand have crept back into life, with a collection of bikes including an exciting ‘Adventure’ model. 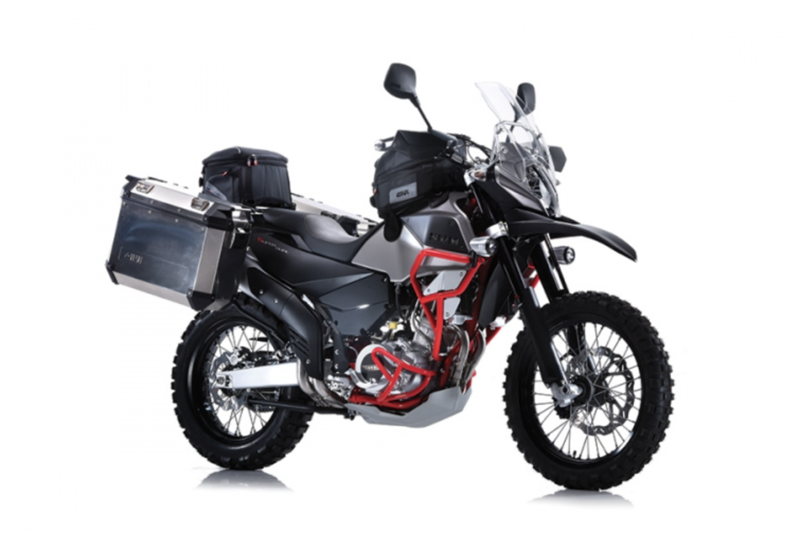 Backed by Chinese giants Shineray, using what appears to be the full setup of Husqvarna during the BMW era including the factory, the SWM range is promising. 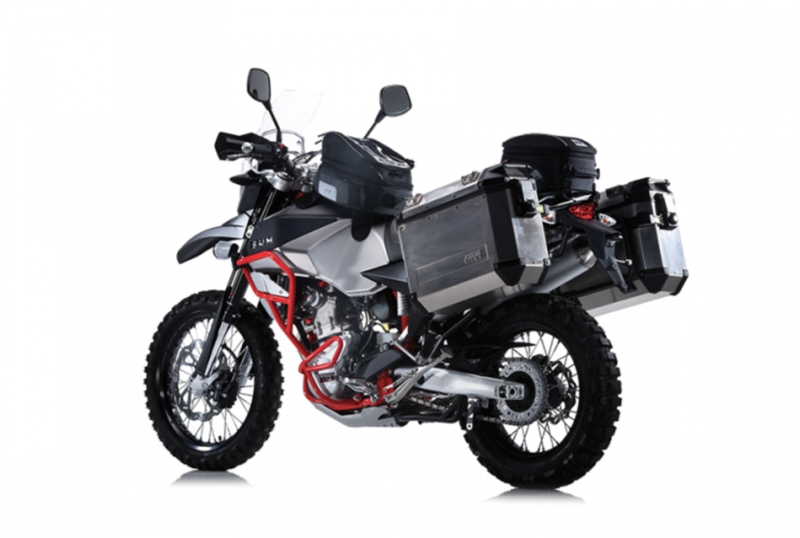 The adventure branded model, Superdual, is essentially the now dead and much loved Husqvarna Terra model. 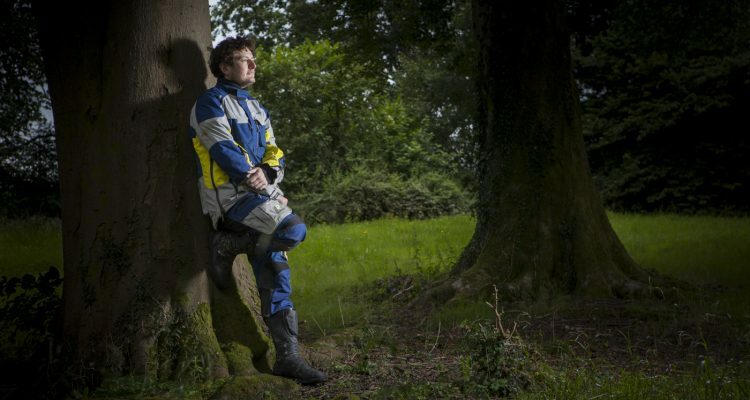 In the guise of the press shots we love it. 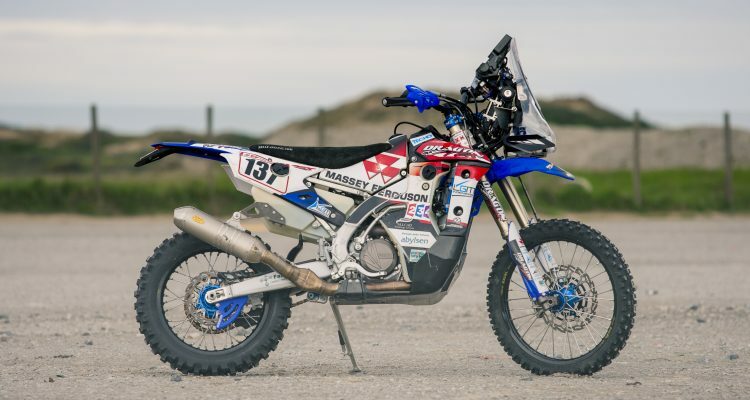 The angry look, fog lamps, crash bars and styling getting us excited and if it performs like the Husqvarna did we won’t have too much to moan about. 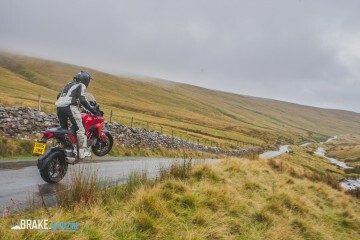 For more on the SWM, pray to the gods or click here. 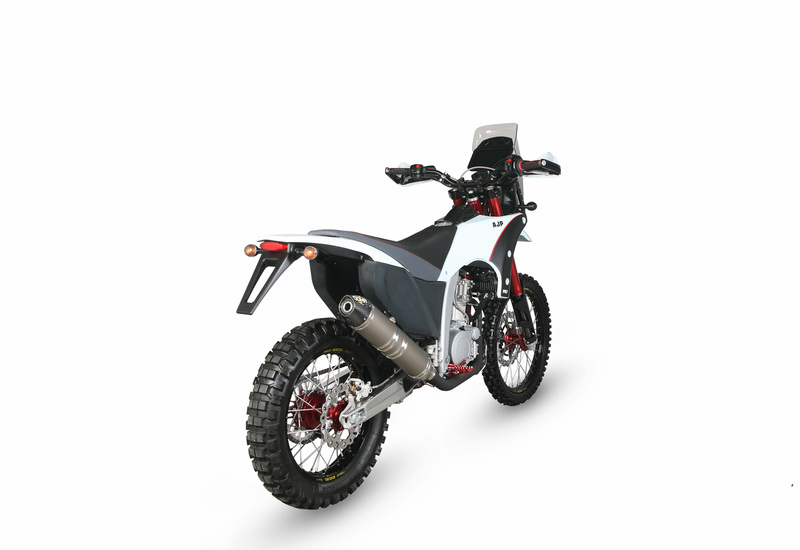 The PR7 first broke cover as a prototype around a year ago. 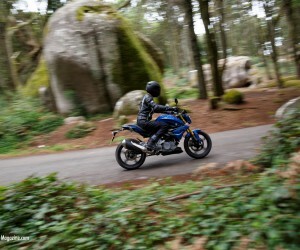 Now the Portuguese brand have confirmed the bike’s full specs, released images and listed some changes to the overall design. 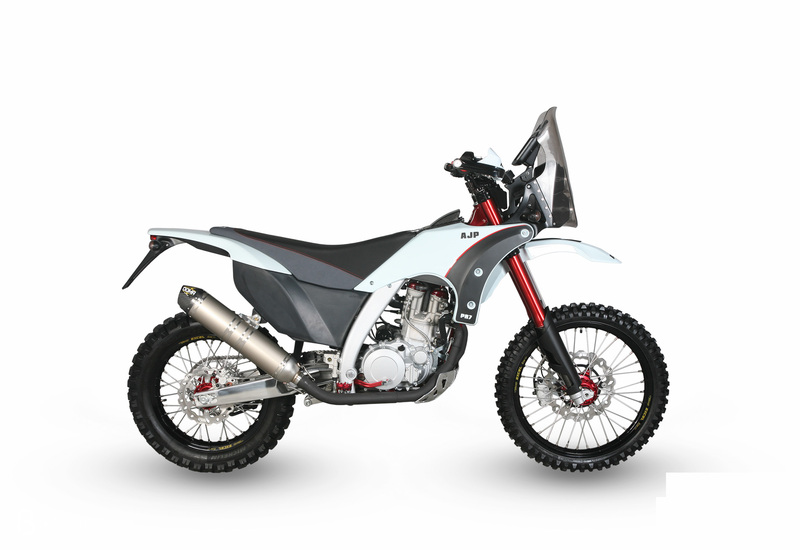 It’s an exciting bike on paper, with Dakar racer styling and a navigation tower. 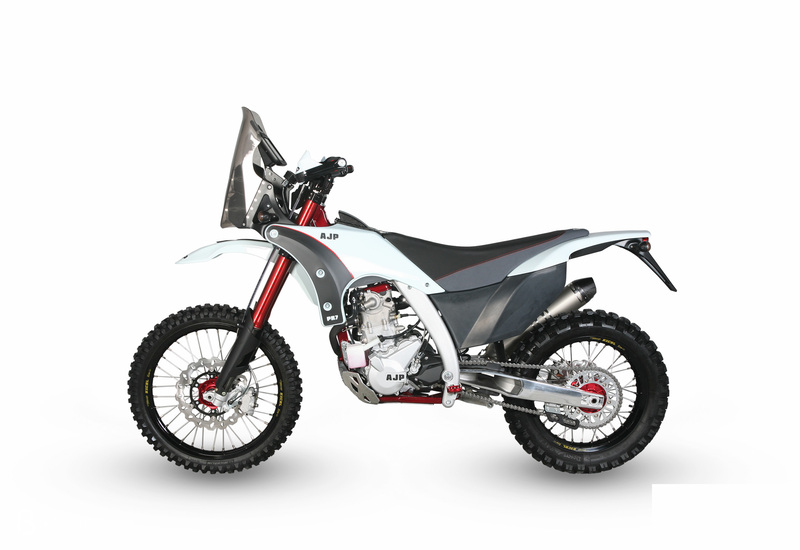 The engine is the very same design as was in the rather cultishly popular Husqvarna TE 630 model that was discontinued in 2013 and subsequently sold to re-born legendary off road brand SWM. 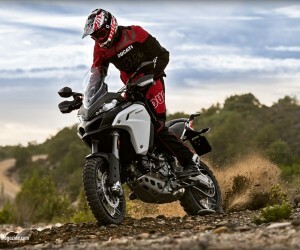 The whole bike is intensely off-road focused and aimed at the dirt hungry ADV rider. 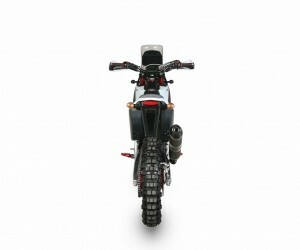 A decent 17 Litres of fuel, a great weight of 165kg wet and 21/18-inch wheel combos are on the money to make itself extremely unique and well placed. 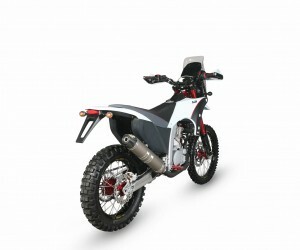 In theory it’ll sit up against the KTM/Husqvarna 690/701, only already stocked with a fairing and more fuel. On top of that it’s the best looking AJP ever produced. The biggest problem AJP will face is their own reputation. 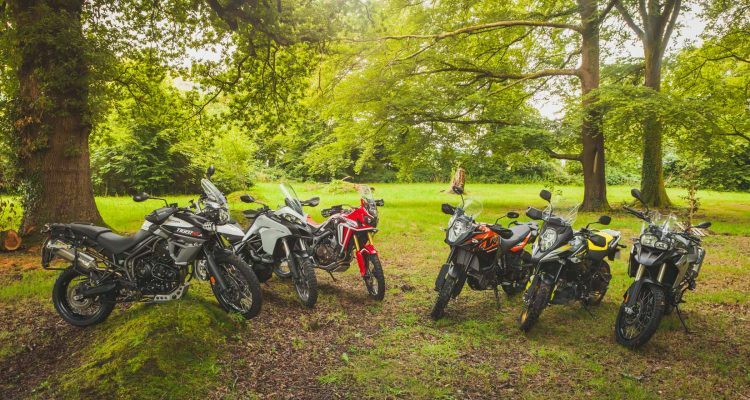 Sadly they aren’t well know for longevity and reliability. 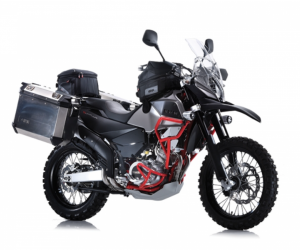 So the question will be around whether the bike is really capable of suffering a decent length trip without worry or fear. 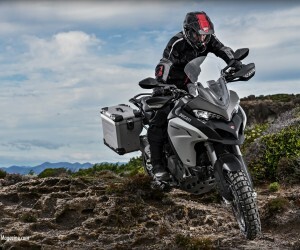 Otherwise the PR7 could be in contention for most capable off-road model when it comes out next year. 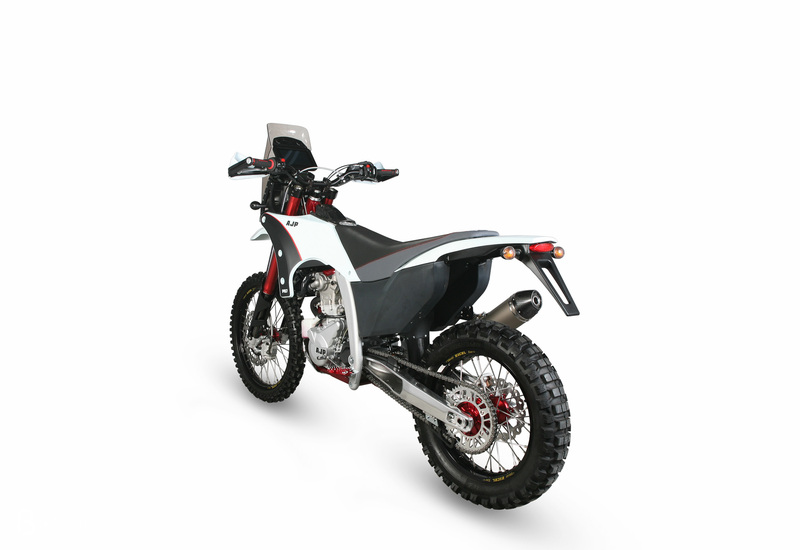 For more on the PR7 click here. 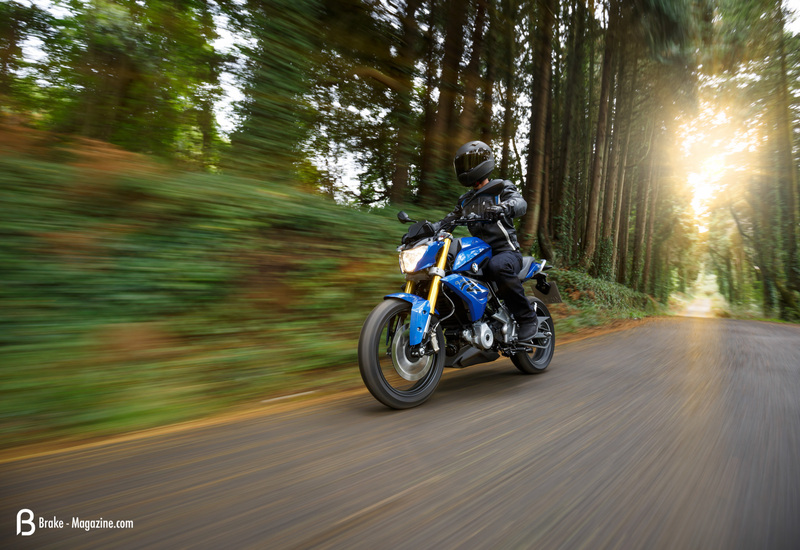 Helmet innovation in the last three years has made some huge steps. 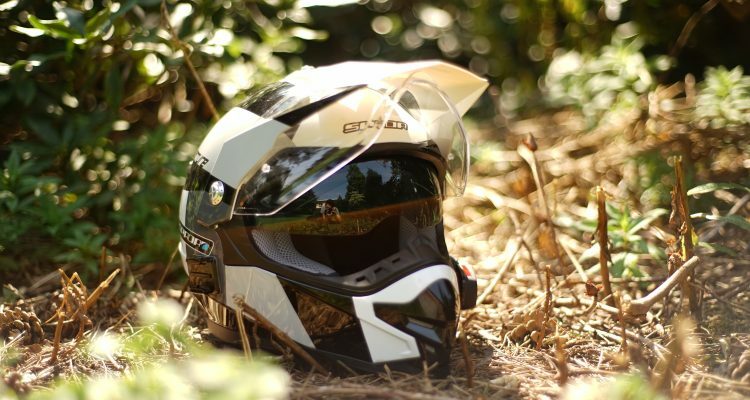 From the incredibly creative 6D helmets, to the invention of MIPS for mountain bike helmets. 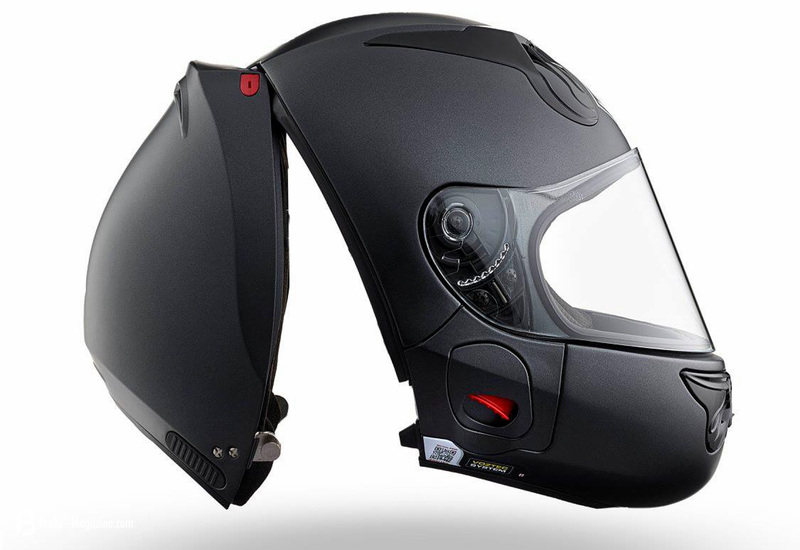 AGV just released a push button tinted visor and then there is the divisive SKULLY with its rear view gadgetry and heads up display. 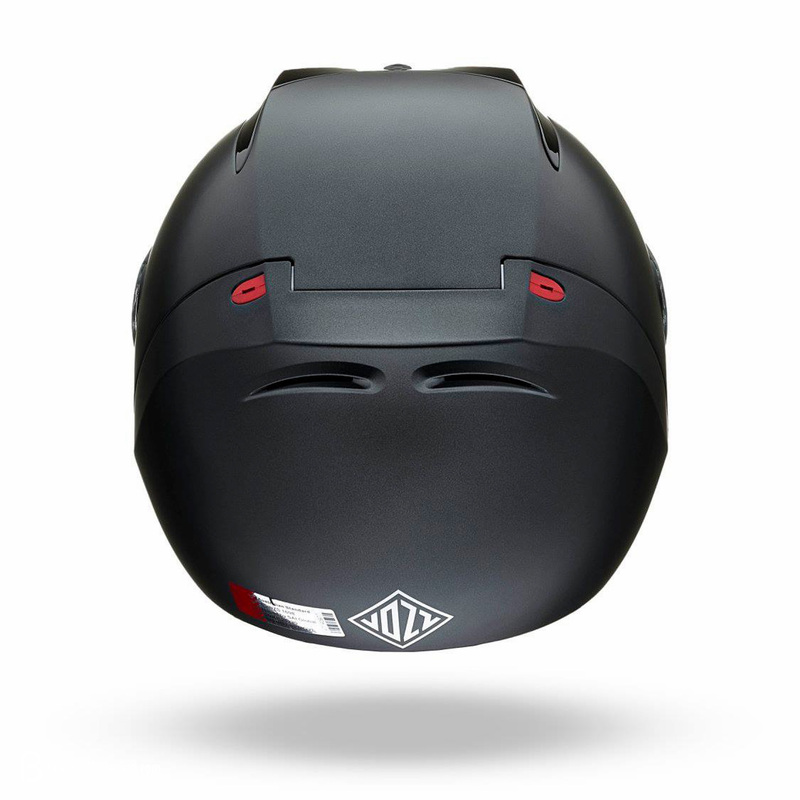 Aussie company VOZZ have come out the left field with something completely new, a rear entry helmet. 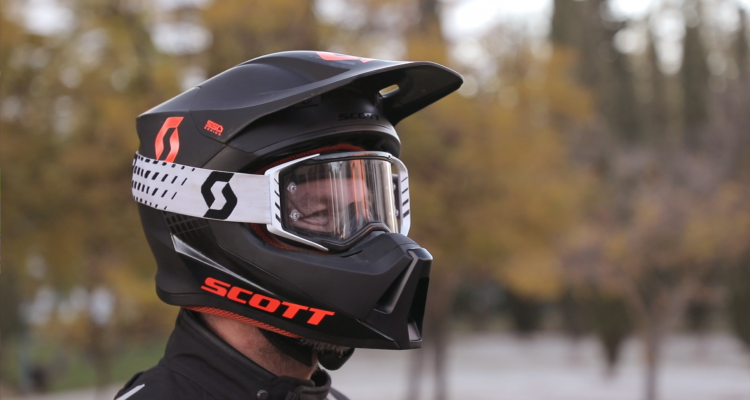 To understand, you need to watch the video below, because the fundamental change in basic helmet design has bought about a host of other functional developments. 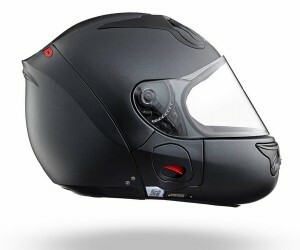 At present it’s a road helmet, with talk of a future dual sport/adventure style version. That said, we love the creativity and forward thinking approach they’ve taken. 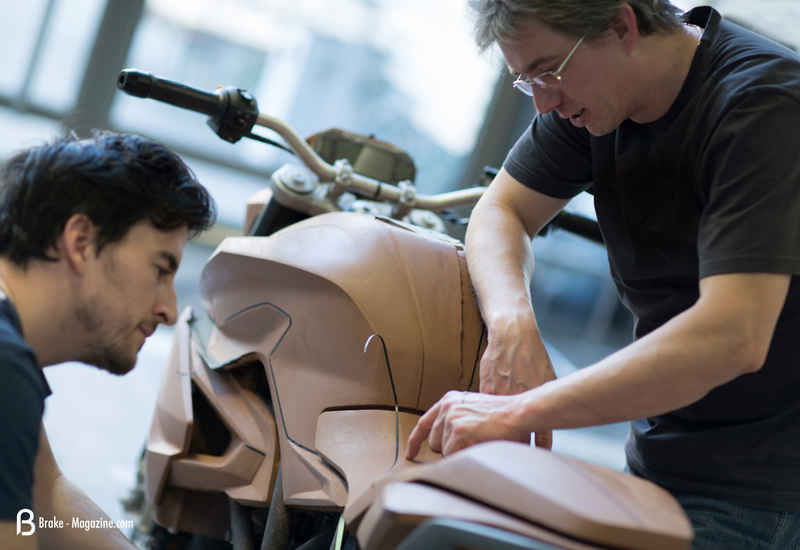 The aerodynamic design, the composite construction, the effectiveness of removal in the event of a crash and the perfect fit, every time you put it on are all exciting ideas. 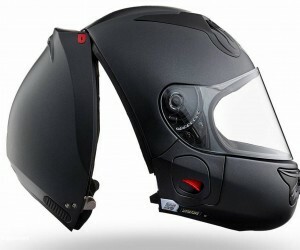 There are clear compromises to the design but as much as anything we applaud the push to innovation in helmet design. 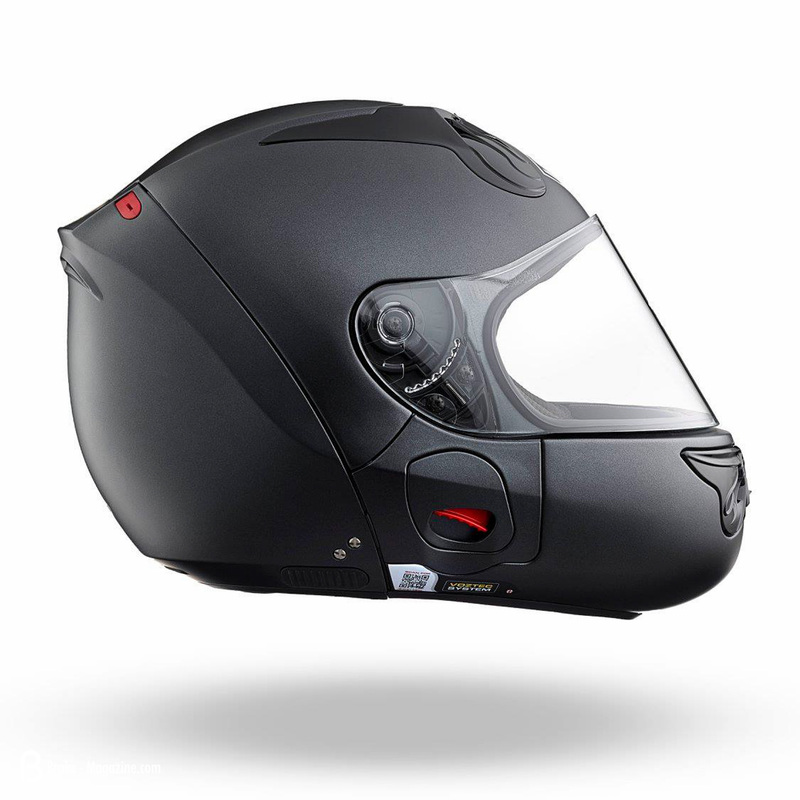 For more information on the VOZZ Helmet click here. 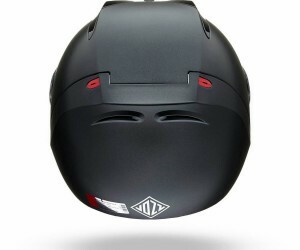 How the Vozz Helmet works. 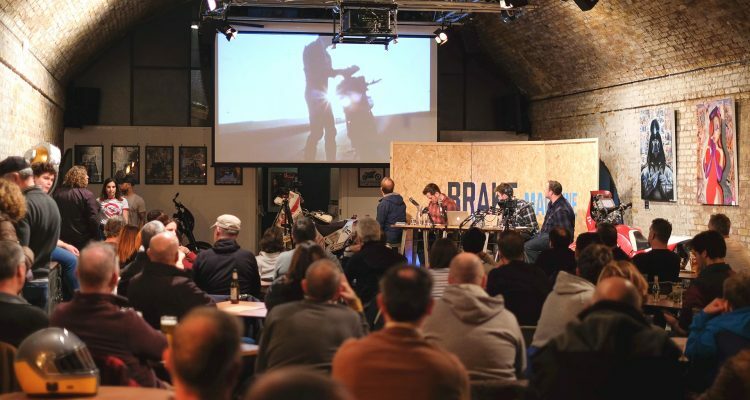 Interview – Ten Years of Charley Boorman Part Two.